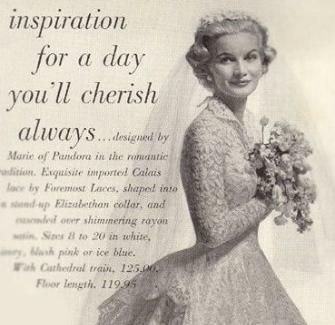 A very elegant, vintage couture, candle-light white lace, Marie of Pandora designer wedding gown from 1961. Stored in original box. Lace appears to be Chantilly or Calais. Pearls at the waist have turned a beautiful vintage amber color, but can be replaced or removed easily if preferred. 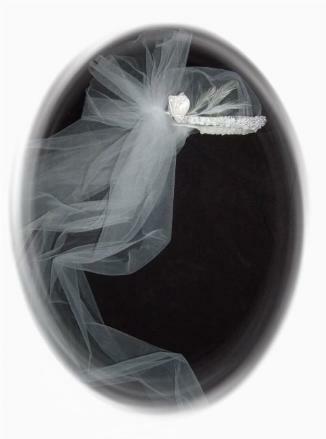 Train is of a shimmering plain silk organza that bustles into a beautiful peplum. 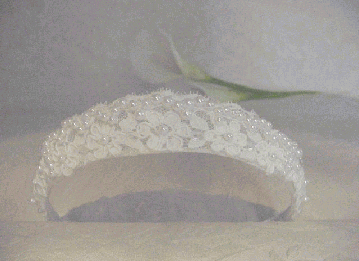 Blue tissue used on bodice to show lace detail. 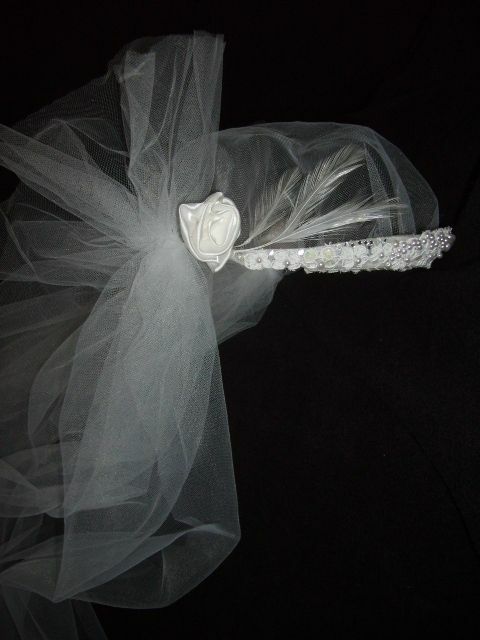 Perfect for today's couture designer wedding gowns! 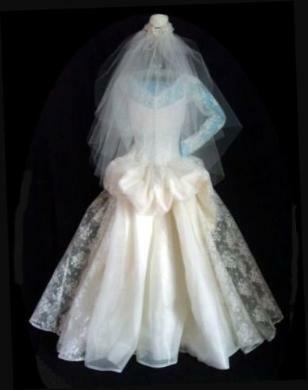 Be the only bride in the world wearing this exclusive custom gown! If you would like more pictures emailed to you or have any questions, please contact us. 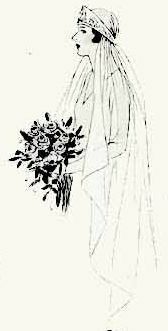 Petite wedding gown. 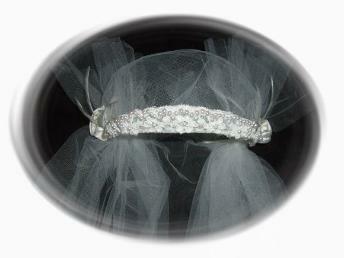 See below for veil worn with this gown. Measurements: 23 inch waist, 30 inch bust, 53 inches shoulder to bottom front skirt hem. 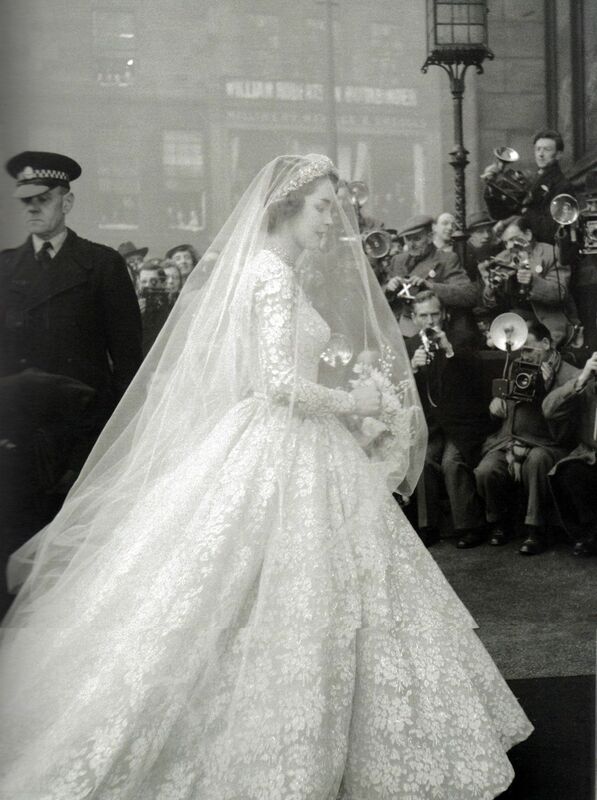 Jane, the Duchess of Buccleuch and Queensberry arrives in a similar gown for her wedding to the then Earl of Dalkeith in 1953, the society wedding of the year. 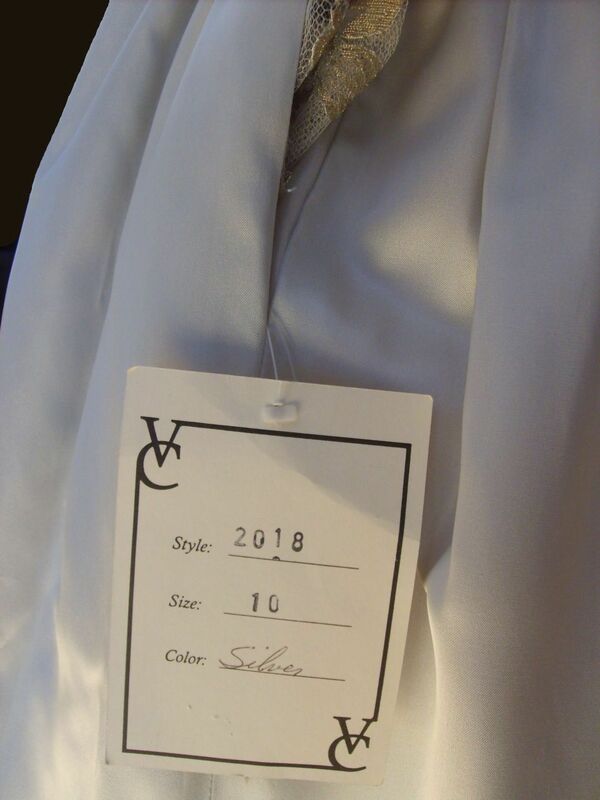 We're always adding to our Vintage Collection. Check back often! 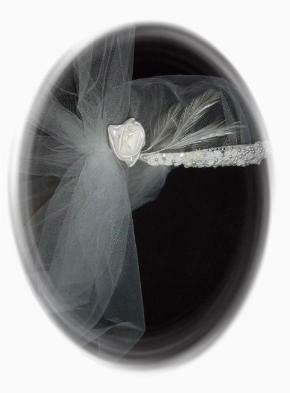 veil would look amazing with a vintage wedding dress, circa 1929.
you would like more pictures emailed to you, please contact us. 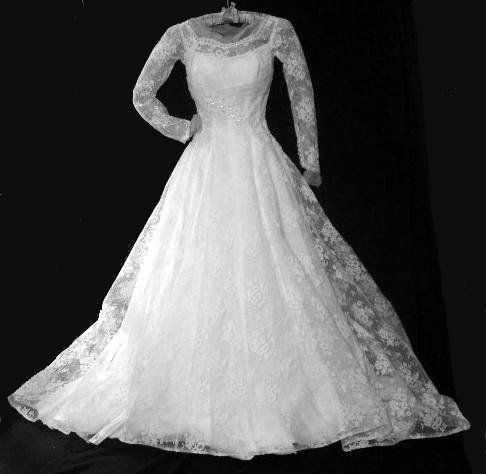 The Charleston Museum has a Marie of Pandora gown in their collection. Click their logo below to have a look. two deep side pockets! Crinoline and lining under skirt. Never worn. Still has original tags on it. Perfect condition.